Slate roof maintenance in Melbourne : Is it worth doing ? Although I’ve never had one, leaking slate roofs are not something you need. The mold and musty smells that smaller leaks cause are very unpleasant. For bigger leaks, I’ve seen the anguish on many peoples faces when we’ve been called out to attempt or try to do some urgent repair work whilst raining. The worst possible time for these leaks and when they have an uncanny knack of showing themselves is right in the middle of a storm. Sometimes it’s difficult and dangerous to go on the roof to try to stop them until the storm passes. I myself have stood with some homeowners watching water streak down walls damaging plaster and carpets unable to do anything until it’s safe to do so. It’s not good, and the look of despair on the owners face as the damage grows is not something I like seeing. If you own a home with a slate roof in Melbourne, does it require preventative maintenance or should it be left alone until it’s obvious that it requires repairing? In our experience, there’s a couple of schools of thought on this one – one camp says leave it alone , whilst the other is all for having regular annual inspections. Where do we sit ? probably somewhere in the middle and to us it really depends on the type of slate and the condition of your roof. 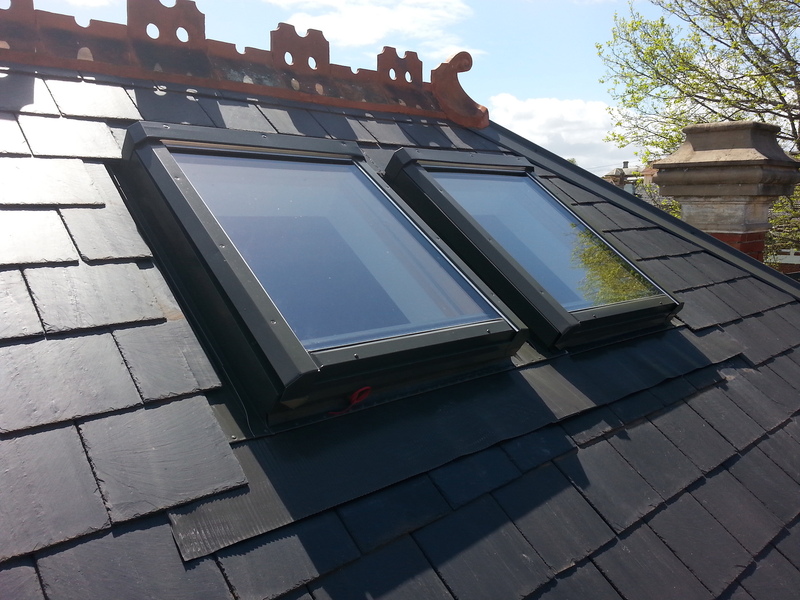 Newer, modern recently installed or fully restored slate roofs. If your roof is relatively new, is a decent quality slate and been installed by a good professional roof slater, then I would say leave it alone, save your money and perhaps have it inspected every 5-10 years. At least for the first couple of decades. After that and depending on what the inspections turn up, you may want or need to increase the frequency of the inspections somewhat. The only other thing I would advise here, is that if you live in a particularly leafy area or have lots of trees around your garden, you may want to make sure that the gutters are kept clear – at least annually. There’s been more than one occasion where blocked gutters have caused some major leaks during one of Melbourne’s notorious downpours. Nothing wrong with the slate roof – just blocked valleys and spouting. Older and original slate roofed homes. 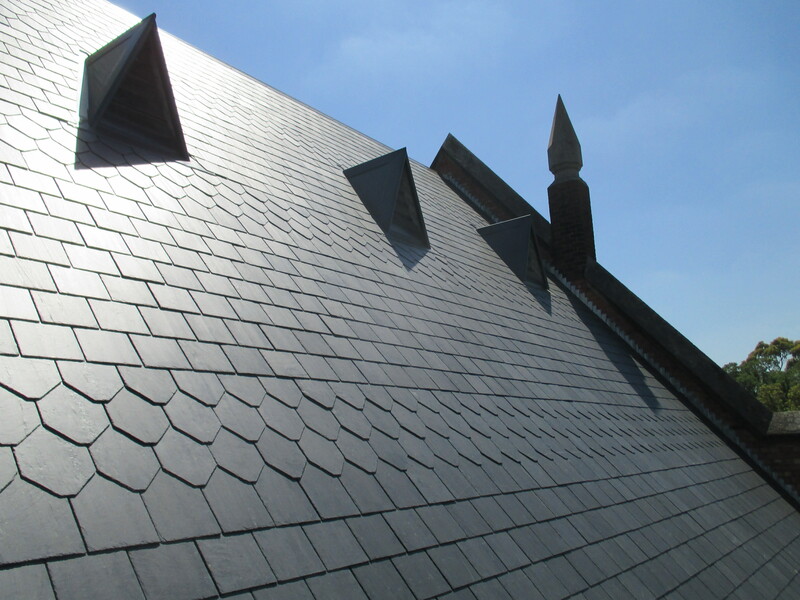 These are the slate roofs where we believe it’s important you have an annual or at least bi-annual inspection. Obviously the older the roof and the less servicing and maintenance your roofs had over the years the more potential its likely to have for major leaks when you’re not expecting it. And it does happen you’ll just have to take my word on that one. It’s interesting how many people seem baffled as to why their slate roof has suddenly began to leak. They just don’t seem to understand that just like an older car needs more checks and maintenance to prevent it breaking down, the roof can’t last indefinitely without repairs and maintenance. A good plan for these older original type slate roofs is to have them looked at probably once a year. Once again if the valleys, spouts, down pipes or any guttering is blocked by leaves or any other debris the roof will probably leak at some stage no matter what the condition of the slate roof. So do slate roofs in Melbourne need maintenance and should you have it done ? We believe” yes.” To prevent you having more expense long term with internal repairs and possibly being caught out during a storm. The frequency of the maintenance can vary greatly depending on the age or condition of your particular roof.